Home / Posts Tagged "gee lyn echaluse"
Zhang Wedding – San Ramon, Calif.
Last weekend the crazy rainy weather in the Bay Area broke for just one day for Gee Lyn and Evan’s wedding – and it turned out to be gorgeous that afternoon for a few outdoor images of them and their wedding party. Evan and Gee Lyn were referred me by several friends of theirs when they had started looking for a wedding photographer for their San Ramon wedding. Evan said I was very highly recommended – which is always a great thing to hear at the end of a wedding day as things are winding down and we finally had a chance to chat a bit after a very long day. Both Evan and Gee Lyn are car enthusiasts, which is how they eventually met me… through the car community. We had spoke entirely through emails leading up to the wedding figuring out several different details and getting plans in place for their wedding day. I did my absolute best to keep things laid back and chill for them when it came to photos, letting them know I didn’t need many more details beyond the “absolutely must have” photos unique to them or their family, as well as keeping me updated with the rehearsal times, etc. Evan and Gee Lyn got married at St. Mary’s College in Moraga, Calif. The rehearsal evening was rainy and blustery out – but the weather the next day called for clear skies. I even got to see and catch up with Eryn and Ryan King, other old friends whose wedding I shot, because they live nearby St. Mary’s so it was a great opportunity to visit the Kings and catch up on life. The wedding day started just like any other for me. I met up with the girls in the morning while they were getting ready. Gee Lyn and her five girls made up a bridal party of six, so that’s a lot of hair and makeup to get through between them and the moms, as well. Gee Lyn and Evan had a full catholic mass wedding with several family members involved in many part of the ceremony. It was definitely very sweet to have so much close friends and family involved in their day. And when it came time for their reception that night there were some 200 or so people if I remember correctly that attended – plenty of friends and family to celebrate the night with. I’ll leave the rest of my comments about the day in the captions below. Click the break for just over 250 photos from Evan and Gee Lyn’s wedding day! It was a gorgeous wedding and everyone was a blast to hang out with. I had told Gee Lyn and Evan as we left that night that “I don’t advertise myself as a wedding photographer, and because of that everyone I shoot for is some sort of referral… which means that I end up with wonderful couples and great people at all my weddings.” Gee Lyn and Evan are no different. I had an amazing time and felt as though they were just like any other friends I shot for that I had known for years. 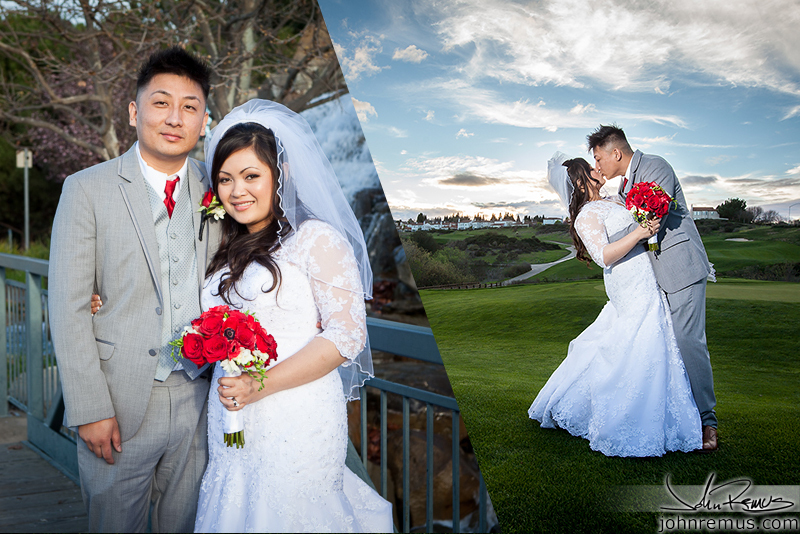 I hope you guys enjoy my images from the their wedding day as much as I enjoyed creating them. And to Gee Lyn and Evan, Thank you for having me be part such an important occasion. If you manage to get to a computer with broadband during your honeymoon in Europe right now I hope you enjoy the photos!